What kinds of places are designated as conservation areas? Conservation areas vary greatly in size and character. 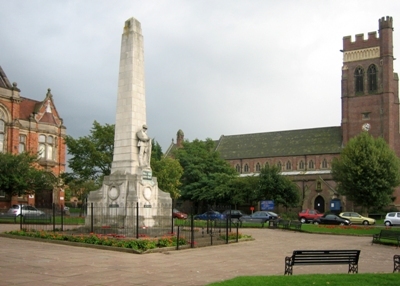 Conservation areas in Stoke-on-Trent include town centres, housing areas, parks, canals, traditional industrial areas and church yards. They include buildings, public spaces, streets, landscaped areas and waterways. The City Council has records of all conservation areas in the City and this web site includes details of the boundaries and guidance affecting conservation areas (click here). What kind of protection do conservation areas provide? Conservation area consent is required for the demolition of most buildings (there are some exceptions to this where very small, recent buildings are concerned). The Council must be notified if you intend to cut down or have work done on trees. Where new development is proposed, the council has special duties to consider its impact on the character and appearance of the conservation area. Properties in a conservation area have different ‘permitted development’ rights (see below). Permitted development is a term for certain kinds of alterations or extensions that can be carried out without the need to apply for planning permission. For residential properties, permitted development allows small extensions, minor alterations and things like fencing and small outbuildings. Deciding if alterations or extensions are permitted development can be a complicated matter and you are should speak to the Council for advice on any particular scheme. If proposed works do not come under ‘permitted development’ rights, then you will need to submit a planning application to gain permission for the works before you can carry them out. What on earth is an Article 4 Direction? In some conservation areas, additional protection is provided by what is called an Article 4 Direction. These can require a planning application to be made for certain kinds of work that would otherwise be permitted development. They can cover different things in different conservation areas. But common things that are protected include windows, painting or cladding of walls and historic ground surfaces, such as stone cobbles. Article 4 Directions are complex things, but you can get speak to the Council for advice on what is protected in any particular conservation area. Where are the local conservation areas? Details of conservation areas in Stoke-on-Trent can be seen here. Where can I get further advice on conservation areas? The links page provides details of other web sites and organisations that provide guidance or advice. You can also contact the City Council for more specific advice on local conservation areas.